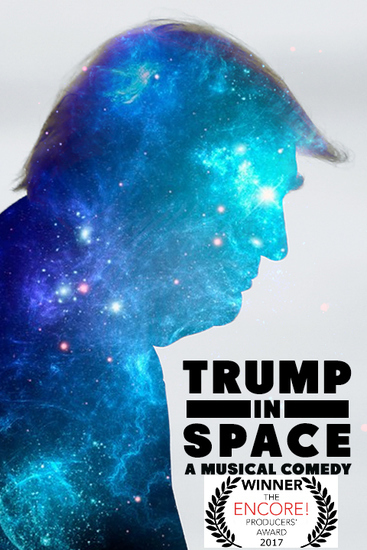 Trump In Space hits the ground running and doesn’t stop for an hour. Intelligent humor as well as funny cheap humor. Quality songs and great songs with clever lyrics, sometimes four part harmonies accomplished surprisingly adeptly for non-professional singers. Considering the bare bones stage and props, actors never waiver from their roles and remain very creative in expanding the audiences imagination to enjoy the story. I would say the only thing lacking other than professional singers, would be the majority of the music (piano) emanates from an amp on the left side of the stage, which makes it difficult at times to hear all the singing, but a very minor disadvantage and understandable production level considering this is not at the Pantages, or at least not yet. Very clever and funny. Great music. I would recommend to all comedy and musical lovers.